Until recent years, BPM software has only been available for enterprise organizations. The tools were hard to set up, clunky and extremely expensive, making it inaccessible for companies that don’t have a 6-figure budget. The days of Legacy BPM, however, are over. A lot of the new software companies offer the BPM process management capabilities at a reasonable price tag, making it affordable for businesses of any size. Enforce Procedures – You go through all the pain of testing, optimizing and perfecting your processes. Your employees, however, keep forgetting to stick to the new thing. You can digitize your procedures with BPM software, ensuring that your staff follows through with everything. Automate Processes – BPM software comes with integrations with 3rd party SaaS tools. With the right Zaps, you can automate a big chunk of grunt work. Boost Productivity – As a result of the first two benefits, you’re increasing productivity company-wide. This, of course, has a positive impact on your bottom line. While the benefits are extremely clear, until recently, BPMS was only accessible for enterprise companies. The legacy software (that is, older systems) is hard to set up, as you need to install it on-site, as well as integrate it with your existing systems. This makes the whole process extremely expensive and time-consuming. And to make things even worse, most legacy BPMS is very rigid. To set up your procedures, you need to have them designed and installed by specialized engineers – and you can’t even make any changes afterward. Once you’ve set up your processes, you’re stuck with them, unless you pay even more to have the right specialist fix them up. And that’s where no-code BPM software comes in. New SaaS-based BPM software, such as Tallyfy, makes process management easier than ever before. The software is built with small to medium size businesses (SMBs) in mind, eliminating all the complexities that BPM software is known for. As we’ve already mentioned, traditional BPM requires an army of engineers & 2 months+ to set up. No-Code BPM, on the other hand, is built on the cloud, so you don’t need to set it up locally. All you have to do is sign up online and give access to your employees. And unlike legacy BPM, you can configure the software to your needs yourself. i.e, create and edit processes, integrate it with your favorite SaaS tools, etc. The easy setup allows companies like Tallyfy to charge 100x less than your average BPM software company. The prices range from 10 – 15$ per user for each month. Or, if you still haven’t decided if the software is good, you can always start for free. Going Over the Budget – During the implementation, you’re bound to need adjustments. The bills can stack up, taking you very far from your initial budget. Failing to Enforce the Software – Most organizations have to put a lot of work into getting their employees to use the BPMS. If you fail at getting the buy-in needed for this, you’ll have wasted a lot of money for no real reason. To even use legacy BPMS, your employees need special training and coaching. No-code software is built with your team in mind. It’s so simple that anyone can use it to build processes, as well as operate the software. To make process creation even easier, some companies offer template you can use to help get you started. You can then either just stick to the templates, or customize them for your own needs. The ease of use allows you to start using the software within departments or teams, rather than making the commitment straight off to install it company-wide. Pricing Avg. 10 USD / Month / User Installation fee on quote, extra fees for consultations, configurations, etc. Starting with No-Code BPM software is free. Why don’t you give it a try and see how you could digitize and automate your processes? 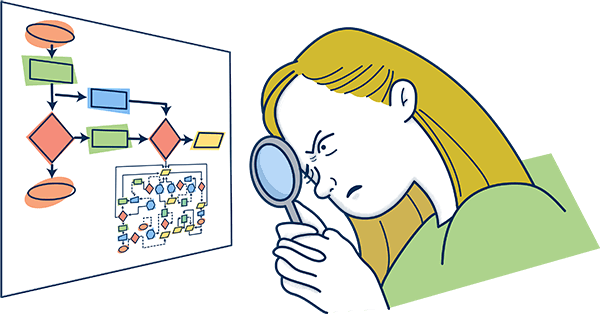 If, on the other hand, you’re stuck deciding between different software providers, check out our guide to different BPM tools.